Suntory, the leading Japanese drinks firm, is rolling out a new version of its flagship Pepsi cola that is said to be based on popular Japanese flavours. Labelled Pepsi Japan, the new product is reported to be flavoured with the Japanese citrus fruit yuzu as well as a “a carefully balanced combination of spices [and] a subtle flavour of salt”. 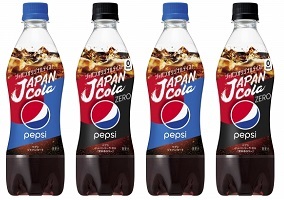 The cola will be available from 9th April in regular and Zero (calorie-free) versions, priced at ‎¥‎140 ($1.25) for a 490ml bottle. Sora News 24 and Beverage Daily note that Pepsi Japan is distinct from Suntory’s previous J-Cola offering, which was part of the company’s “Japan and Joy Cola” concept.